A test flight from Real Tonga Airlines touched down at Faleolo International Airport as it looks to formalise a working relationship with Polynesian Airlines. The 1 hour and 20 minutes flight from Vava’u brought to Samoa a delegation of more than 20 employees including the Deputy Chief Executive Officer and General Manager of Commercial, Tele Faletau. At the airport to await the delegation was Polynesian Airlines Chief Executive Officer, Seiuli Alvin Tuala and members of his staff. Seiuli declined to comment when he was asked. 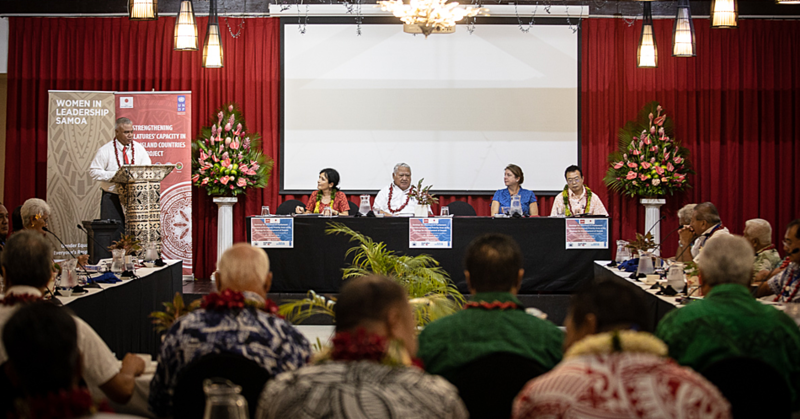 But Mr. Faletau told the Samoa Observer their official regional service should be up and running by August. 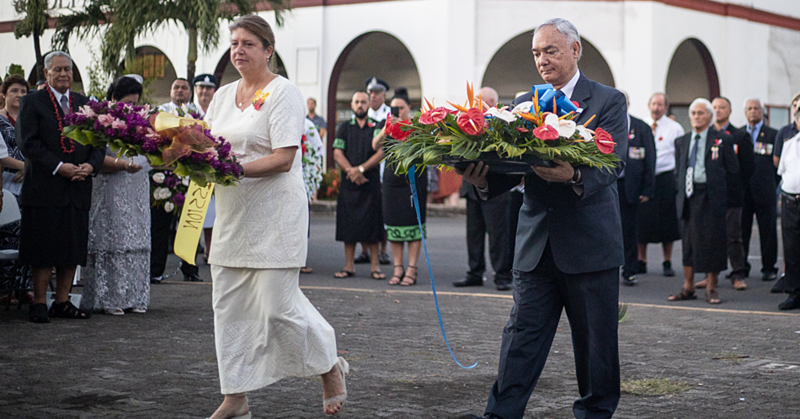 “While a lot of people suggested Fiji, but for us, we’ve had a connection with Samoa for far too long,” he said. 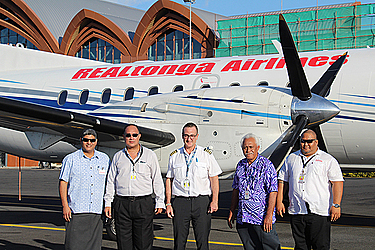 “This has always been our primary objective for our regional flights and that is flying to Samoa. Mr. Faletau said Samoa and Tonga are next-door neighbours and it makes sense for them to work together. But the plan to revive Polynesian Airlines international operations is exciting. “We have a lot of Tongas here in Samoa and there are a lot of Samoans in Tonga. 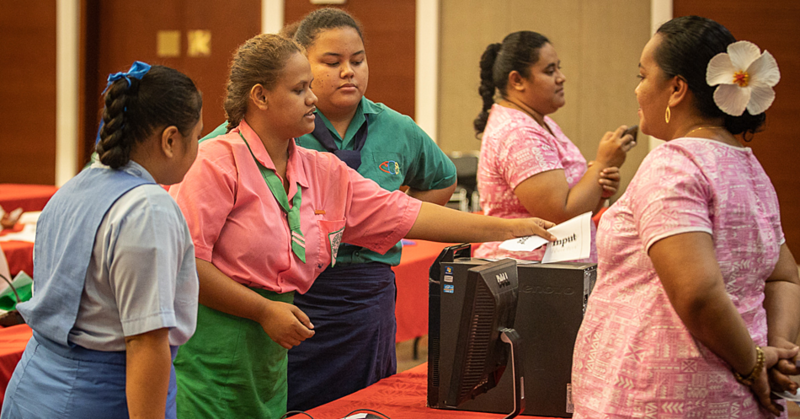 “To get between Samoa and Tonga, is very costly to customers over $2,000 and on top of that required an overnight and that didn't matter which way you went, whether it’s Fiji, or NZ,” he said. “So now we’re going to offer a much more cost effective option for the traveling public and a much more convenient services... the airfare will be less than $1,000WST, because the flight is just over an hour. “All the flights will come through Vava’u, the flight time that was discovered today [yesterday] was an hour and 20 minutes. The Deputy C.E.O agrees there are more Tongas in Pago Pago however due to significant federal regulations they are depending on Polynesian Airlines to bring over the passengers from American Samoa. Earlier this week, Polynesian Airlines formalized its partnership with Fiji Airways in a Memorandum of Understanding.